Check with your doctor if you have type 1 or 2 diabetes or are in a prediabetic condition, as extreme highs in blood sugar levels can contribute to the possibility of serious side effects. The glycemic index for honey ranges from 31 to 78, depending upon the variety of honey. 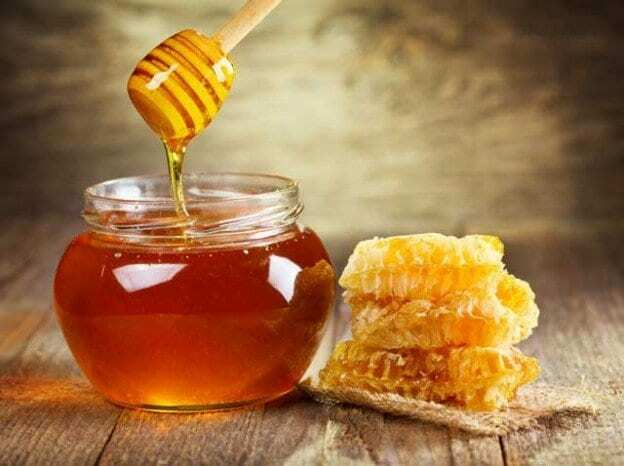 The amino acids in honey number 18 of the 20; but, the amino acid content is a negligible amount, a mere 0.05-0.1 percent of the composition. The primary amino acid is proline. The amino acids in honey come almost totally from the bodies of the bees. As well, you can stop by your local farmers’ market and purchase honey from the tender of the beehive himself. Always look for 100 percent pure honey. You do not want honey that has been diluted or treated with additives. Always store your honey on the pantry shelf and not in the refrigerator. If you accidentally forget and store the honey in the fridge and it crystallizes, look on the container, as it will give you instructions on what to do. Honey use has a long history, going as far back as 7000 BC in Spain; however, fossils of honey bees have been found that date back almost 150 million years. It’s been a staple of the human diet for many, many years, with numerous (and in some cases unsubstantiated) claims as to its health benefits, treatment for various illnesses and maladies, and also as a good luck symbol and a symbol of “sweetness.” (“Hello, ‘Honey,’ I’m home!”) There are many books available on the different uses of honey and its purported healing powers. Again, it is stressed very strongly that you should always talk with your doctor before adding honey to your diabetes diet, or making any drastic changes in your diet. Honey and diabetes can work but at certain times depending on your blood sugars.